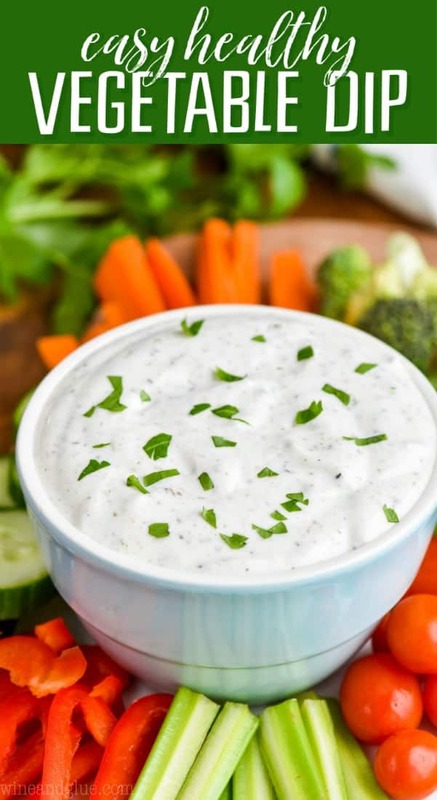 This Healthy Vegetable Dip Recipe is really easy, light on calories, and big on taste! 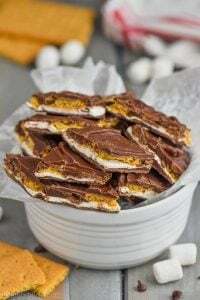 It is the perfect thing to make for a party because of how fast it comes together. It only has four ingredients! Serve it along side some other light and delicious options like this Pineapple Mango Salsa,this Avocado Salsa, or these Spinach Balls! Happy Wednesday guys! 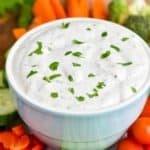 I’m really excited about today’s recipe for this easy vegetable dip because it’s an update of an old post and the pictures this round are three million times better. Humility has always been my greatest strength. ???? 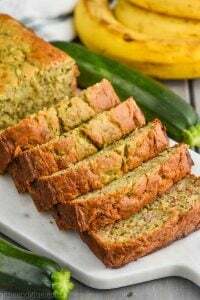 Here’s the deal with this recipe guys, and I’m talking to you, my dear friend who has stumbled upon this blog for the very first time through Pinterest and the recipe you came for was Skinny Two Ingredient Vegetable dip. 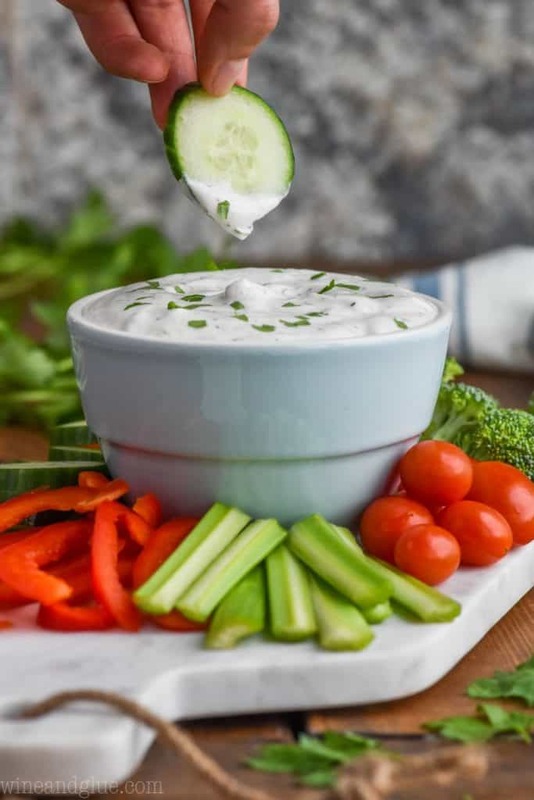 When I first made this healthy vegetable dip, I used two ingredients: cottage cheese and Italian seasoning. I used one of those salad dressing packets from the store and it was loaded with salt. So this recipe was like way good on the salt, maybe a little too much salt, honestly. I’m so grateful for how far I’ve come when it’s come to cooking over the years. 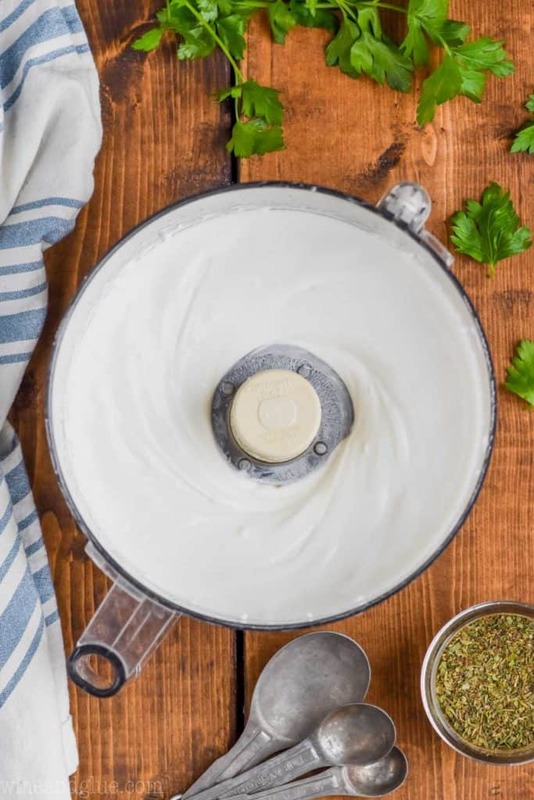 I love this version of this creamy vegetable dip so much more because you have a lot more control over the flavors involved. Also? It’s still just as simple as it was before. 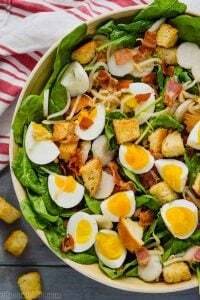 This recipe starts with my own homemade Italian seasoning. Then, because that has no salt in it, I add just a little salt and then a little bit of lemon juice because it pulls all the flavors together so well. 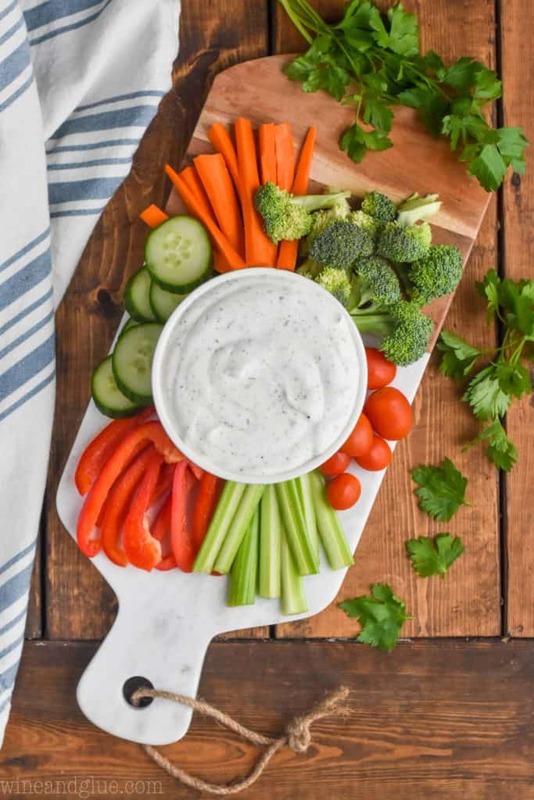 THIS EASY VEGETABLE DIP IS PERFECT FOR GET TOGETHERS! I love this easy vegetable dip for this time of year! My favorite type of food is game day food. I don’t really love the game, but I love the food that it brings out. Give me all the buffalo pull apart bread, please. But it is really good to have a healthier option on the table too, and this is it! 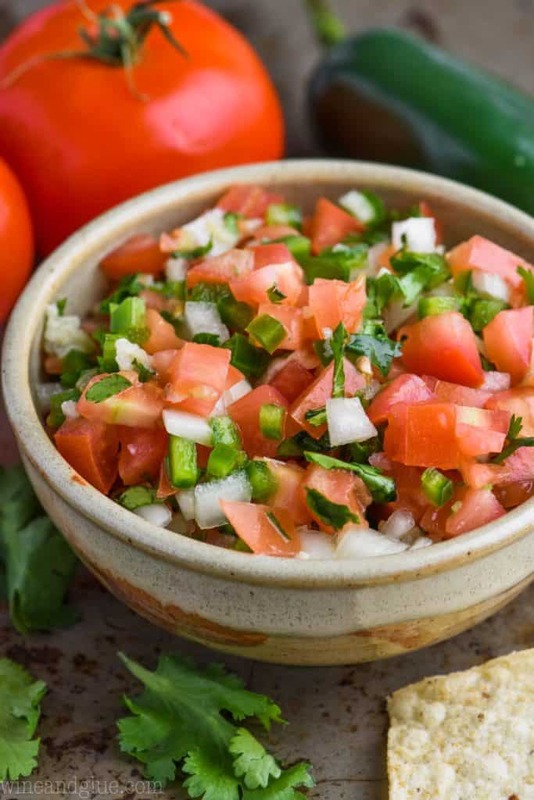 THIS IS THE HEALTHY VEGETABLE DIP YOU’VE BEEN LOOKING FOR! 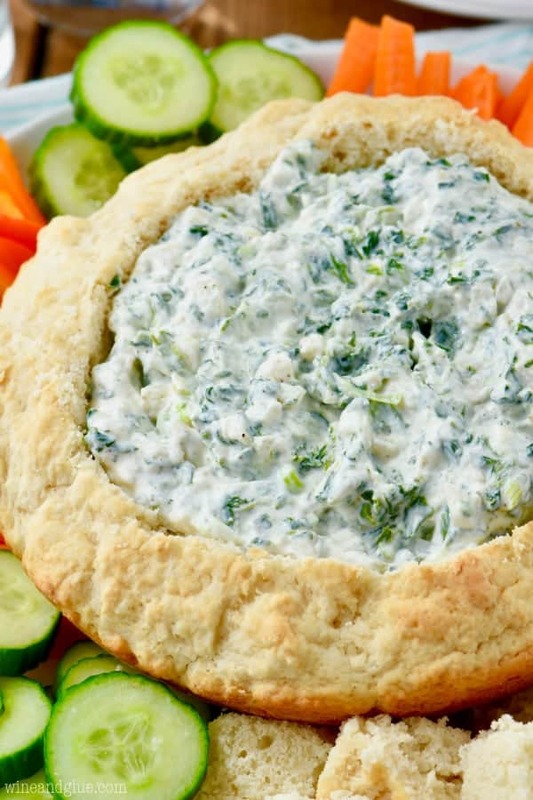 This vegetarian vegetable dip is a perfect dip for tailgating or serving at a football party! It’s super simple to make, delicious, and served up with veggies. 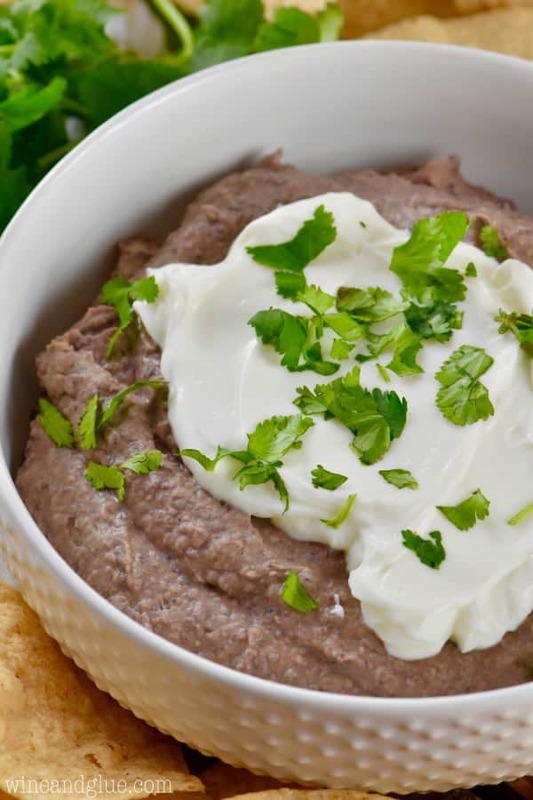 It is the one dip on the table you can feel good about over indulging in. I whipped up the non fat cottage cheese in a food processor until it was smooth. You could use a blender too. Added some salt and lemon juice to taste. Then let it sit in the fridge for a few hours. Perfection. 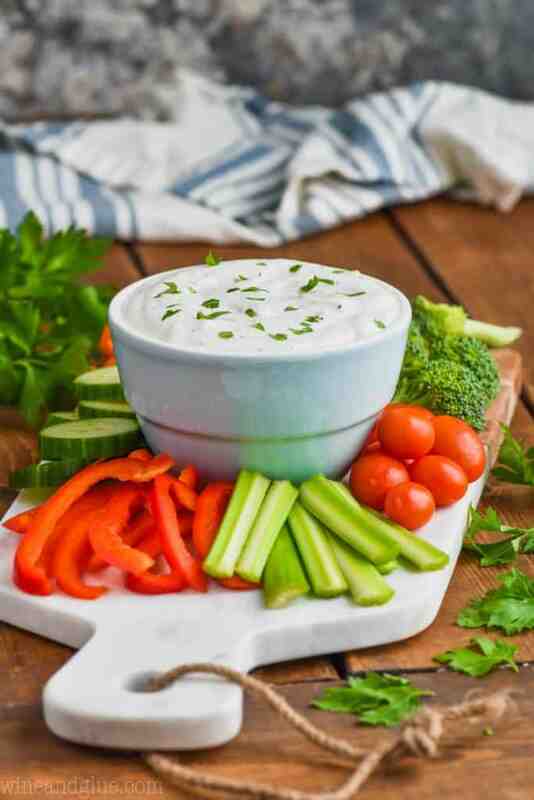 A creamy vegetable dip that is low in calories, high in protein, and packed with flavor! 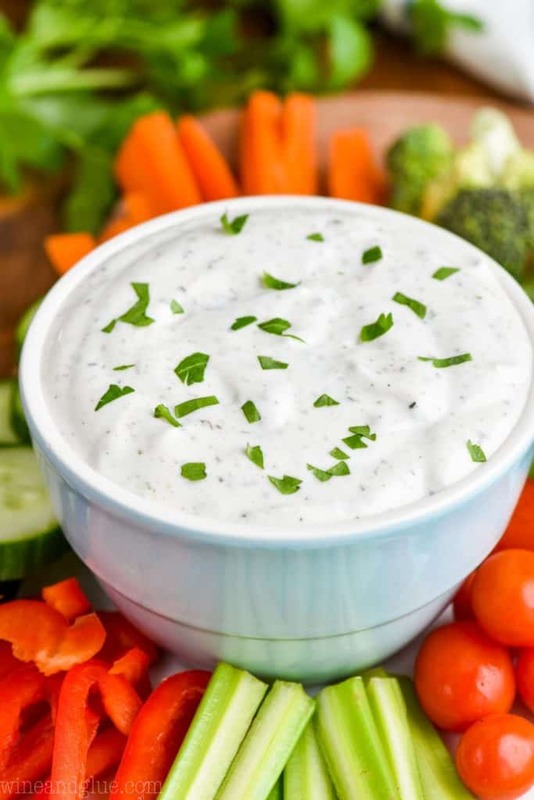 This Healthy Vegetable Dip Recipe is really easy, light on calories, and big on taste! It is the perfect thing to make for a party because of how fast it comes together. It only has four ingredients! Blend the cottage cheese until completely smooth. Stir in the Italian seasoning, salt, and lemon juice. Add more salt and lemon juice as needed, up to 1/2 teaspoon each. Refrigerate for at least two hours before serving. This looks great!! I have a whole bag of sliced bell peppers that were just looking to be munched on, this will be perfect!! This sounds so simple yet geniusly delicious! All that flavor with only 2 ingredients? Pass the veggies! 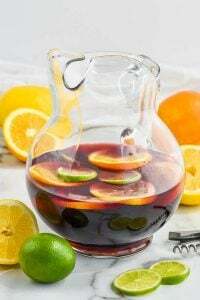 Thanks for sharing at Wednesday Whatsits! What a great idea for a healthier dip! Sounds delicious! Looks delicious to me! Pinning it to our Monday Funday board! Thanks for linking it up!